Does Jason Aldean work for Illuminati? 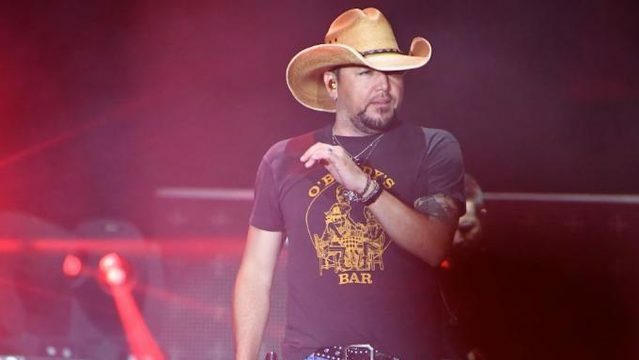 Browse: Home / Does Jason Aldean work for Illuminati? Entertainers complicit in CIA mind control & social engineering. Most must join Illuminati to succeed. Encore- Video captures two shooters in LV crowd. Wearing police vests? From the very first moment of viewing the Las Vegas mass shooting, the entire SOTN staff was really struck by a specific occurrence. We watched many videos of American country music singer Jason Aldean singing his last song — and then quickly and mysteriously disappearing from the stage when the shooting began. Who has not seen this by now? Through it all, we were really bothered about the fact that: Jason did not say a word. Jason did not utter a single warning. Jason ran off stage never to be heard from again. Here’s his Wikipedia page which corroborates that “Aldean ran off the stage and was unharmed”. Who is Jason Aldean? And what was his role in this false flag psyop? The following article by “50 Shades of Pissed Off” may be short, but it’s loaded with radioactive data and eye-opening info. Illuminati Card Game Predicted Vegas Massacre: Did Jason Aldean Have Foreknowledge? A couple of obvious conclusions can be drawn from this article.